Without doubt, this will bring down frauds and thefts and costs of printing cash. Overall, if executed well, the costs of doing transactions between buyers and sellers will lower significantly by 2019. With the abolishment of 500 and 1000 rupee notes by Government last night, a lot is being discussed about the financial situation in the nation. The move, in lined with the government's intention to curb black money will also boost the digital/cashless currency in India. With reference to the same, below are the quotes of different companies’ founders on the move towards Demonetization and its impact. Sirish Kumar, Founder and CEO, Telr, said, “This is a big forward step towards cashless economy. The informal or parallel economy share is expected to come down in the next few years. This will prompt more innovation in the nascent electronic payment industry. This reiterates that opportunities in India for developing electronic payment methods for sellers is unprecedented amongst all emerging markets. Sathvik Vishwanath, CEO and Co-Founder, Unocoin, said, "The intentions are good but very difficult to achieve. If going cashless is the only way forward, certainly the bitcoin which is borderless trustless and transparent currency makes more sense". Manavjeet Singh, CEO & Founder, Rubique, said, "This is a promising move made by the government towards cashless economy. This will boost innovation in the nascent electronic payment industry. Without doubt, this will bring down frauds and thefts and costs of printing cash. A great blow to black money. If executed well, the costs of doing transactions between buyers and sellers will lower significantly by 2019." Satyam Kumar, Co-founder, Loantap said, "Biggest gamble by Mr . Modi , banning Rs 500 n Rs 1000 notes. What happens to Bharat with 46% unbanked population? Is #rbi geared for this, will it derail manufacturing recovery which is in early stage? Is #indianbanking prepared? Will #namo bite the dust this time?" Ranjit Punja, CEO &Co-founder, Creditmantri, said, "Sweeping step taken by the PM, but this should have a positive impact in curtailing black money and reducing corruption. Likely to cause some temporary hardship, and with the introduction of the Rs. 2,000 note, along with the security and tracking features, currency will be used as intended." Prem Rajani, managing partner, Rajani Associates, said, “While the move is welcome to curb black money menace and will immediately adversely hit the corrupt people who have hoarded black money in Rs.500 & Rs.1000 notes, how will it unearth the black wealth stacked in gold, land and large amounts lying in tax haven jurisdictions? With this move, we can expect more credit/debit card transactions, increase in digital payments, mobile payments and online banking thus pushing the vision of Digital India further. Piyush Jain, CEO & Co-founder, Impact Guru, said, "The Indian Government’s demonetization move will provide a huge boost to the startup ecosystem. The curbs on the use of high value denomination notes in the short-term will accelerate adoption of e-commerce websites and digital payment options such as wallets, credit and debit cards. I predict a paradigm shift in the minds of the Indian customers as insecurities around online payments will reduce significantly." “Today is a milestone in India’s economy. We welcome this change by announcing our revolutionary Wallet solution for retail world. It’s the easiest and most powerful solution for today’s situation. Consumers can shop with retailers through wallets without the hassle of cash. On the other end, retailers can use our wallet solution to get connected all the major wallets in the industry. While retailers can go-live with this in matter of hours, we have taken care multiple complex scenarios such as managing bank accounts for different stores and facilitating franchises. This is another step closer to realizing our vision to be the Omni-channel Solution Pioneer in Asian market,” said Abhijeet Vijayvergiya, Vice President and Business Head of India and South East Asia, Capillary Technologies . Sanjay Sethi,Co-founder and CEO, Shopclues, said, "This is a master stroke by the BJP government and a very bold move indeed. Even though this is not the first time such a move has been made by a sitting government, what is significant this time is that it is built on the JAM trinity – Jandhan, Aadhar and Mobile – making it hard for the country to regress. The country’s infrastructure is much more prepared to make this a watershed moment for war against terrorism and black money. This will play a significant role in putting India on track to becoming the economic force it is intended to be". 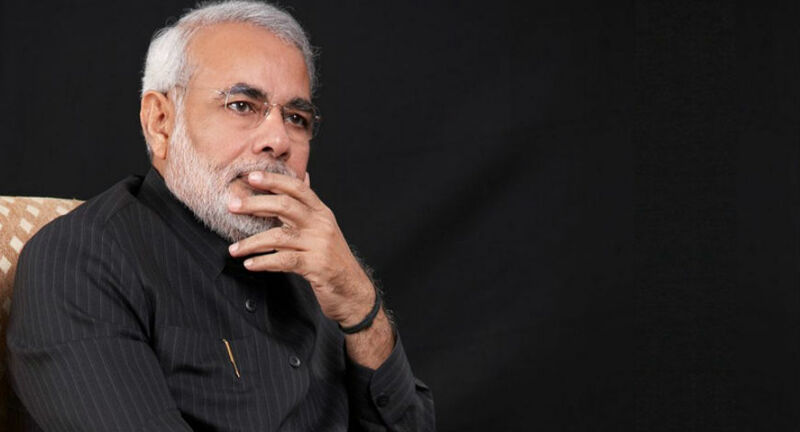 Radhika Aggarwal, CBO, Shopclues, said, "Very proud of the bold decision taken by Prime Minister Modi - will be great for the economy in the long run. We are expecting a temporary disruption in the business - but that's something that we are prepared for! ShopClues is where "real INDIA shops" for unstructured products - our low ASP and low COD reduces the impact on business." Anurag Avula, CEO of Shopmatic said, "There is no better time than now for offline merchants to enter the digital space. This move will have a pronounced effect on E-commerce companies such as ours. Shopmatic merchants benefit from integrated and seamless payment gateway options which makes life and business really easy for them. We welcome as many offline businesses to move to the online world." "This is an important and bold step by the government to curb black money and bringing economy on the right path. In one shot the black money with bureaucrats and politicians is brought to justice. With a jerk economy will be on upward track," said Ashok Vashist- CEO, Founder, Aaveg. "This is a momentous decision in the government’s fight against black money. Sectors like real estate, jewellery, etc that use more of black money will be down. This a move of nation cleansing and I personally welcome the bold move," said Vivek Kulkarni - MD, Brickwork Ratings. "Mr Modi’s move is a watershed moment in India’s fight against the ubiquitous black money issue executed with the finesse and secrecy this issue deserves. While this will have several significant benefits for the economy in the long term, there is likely to be a negative impact on sectors with high cash economy in the immediate term. Sectors like Real estate, construction material, unorganized trade and services will see significant pain in the near term. With liquidity drying up, both NPA and demand for working capital credit are likely to go up. In view of bank’s ongoing NPA issues, how fast will banks react to this situation will be interesting to watch. With limited tax arbitrage between organized and unorganized segments, India will see much sharper move from unorganized to organized segment. In the long term, though, this is likely to drive several benefits for the economy. India has made the first move from cash economy to a digital economy. Larger amount of savings and cash will find a way into the mainstream economy and be deployed for physical and financial asset creation. Use of digital currency and payment systems driven by UPI, wallets and cards will create enormous transparency and paves way for faster evolution of Fintech companies in India especially in transactions and Online lending space. Mr Modi has made the right investment for the next generation. This move should improve India’s position on transparency and corruption in the global league table enabling higher capital flow (FDI/FII) into India. It would be good step for government to think of another VDS scheme with 70-80% penalty rate to bridge fiscal deficits," said Mr. Amit Sachdev- Co-founder and CEO, CoinTribe. Sandeep Aggarwal, Founder, ShopClues & Droom said, "Modi government continues to adopt innovative and feasible way to eradicate black money and move India to 21st century nation. The demonetization of currency notes is a bold step in a positive way and a great move in the direction of weeding out black money. Not only will this move bring transparency in the system but will also control the menace of fake currency notes which has been increasing in numbers. After supporting startup, giving impetus to digital economy, this is another step for India to be at par with other great nations of the world." or bank transfers and digital wallets. Emerging designers who's customers generally pay them in cash may have to face the inconvenience and find an alternative route. However we feel , the impact is temporary and in the end it will help bring technology to support the fashion ecosystem." Amit Bhor, Co-Founder and CEO, Walnut said, “This is a big move to curb black money and fake currency. This is also a great step in the direction of going "less-cash" but we need to see how the re-introduction of higher denomination notes and ATM usage limits are managed. But this jolt will definitely change user behaviour which will lead to higher usage of banks, cards, digital tracking and payments with an app like Walnut. Walnut saw a 5-fold increase in ATM usage among its users at a much lower average ticket size of less than Rs 500." 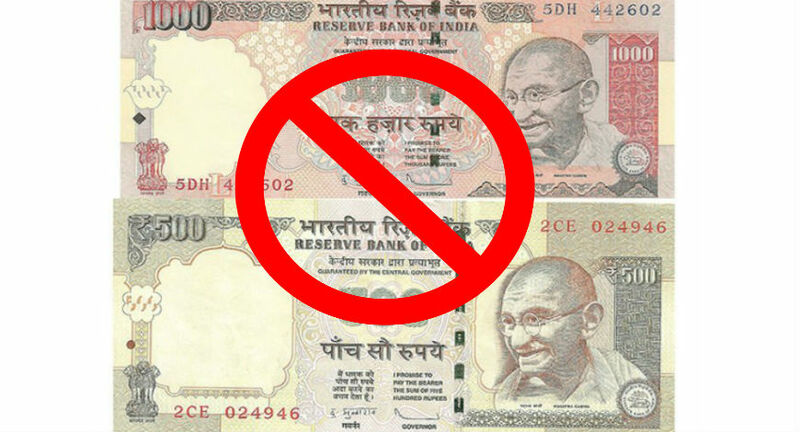 "We welcome Prime Minister Narendra Modi’s decision to phase out the circulation of Rs 500 and Rs 1000 bank notes as this will bring transparency and stronger accountability. This will definitely give a boost to digital payments and will encourage people to shop more online. From the retailer's point, cash on delivery (CoD) options will see a fall which in turn will lead customers to place more orders through cards and net-banking," said Rohan Bhargava, Co-Founder, CashKaro.com. "We at Fingerlix welcome this move by the Government. For start-ups like Fingerlix, that depend on the retail channel for reaching the consumers, there will be an immediate-term impact as the consumers re-adjust their currency holdings. However, the back-end operations are already non-cash and hence will not be impacted in any way. We believe that from a longer term perspective, this move is a significant step forward for the nation," said Shree Bharambe, Co-founder & CEO, Fingerlix. Shubham Patil, CEO, Businesswindo.com, said, "This is one of the biggest decisions taken in a long long time which will positively impact the people, nation and economy. From tonight it will be sleepless nights for all the blackmoney hoarders The biggest impact of this is on the businessman who have not utilized IDS (Income Disclosure Scheme) offered by the Government. Since every businessman has second sales and that unaccounted money will now move into banking system. This is a positive move for banks as they are struggling to meet the Tier 2 and Tier 3 capital requirements. These unexpected deposits will lead to increased capacity of banks to lend more. Everyone knows that black money is mostly in foreign currency, in foreign banks, in the form gold or in properties and less in cash Hence, this steps alone is not going to help in unearthing black money, but still its Good decision which would change the whole scenario of our country. "Demonetisation of 500-rupee and 1000-rupee notes is perhaps the most brilliant and boldest policy decision since Economic Liberalisation in the Nineties. Though Prime Minister Modi has announced it will primarily combat black money and funding of terrorism, it is pretty much a winter house cleaning of illegal money in elections, capitation, real estate, dowry, expensive marriages, bribes and kickbacks. For e-commerce players such as us at Netmeds, we don’t foresee much of a change or problem, neither for our subscribers nor us as a startup. Yes, cash-on-delivery may be impacted but only just. As we have experienced, people pay cash on medicine purchases that are below Rs 500. The government move would naturally encourage online payments and cashless transactions. Netmeds is a facilitator, the India ki Pharmacy, a value-add for offline business with integrated mobile and card payment processes. Overall, we are good with the financial overhaul," said Pradeep Dadha, Founder, Netmeds.com. "This step taken by Sir Narendra Modi is path-breaking and revolutionary, as it sets a great example on how to bring change boldly and effectively. We as a nation have to fight corruption and what a way to begin! This bold move is just another instance of the Modi government’s vision of corruption free India," said Mayank Bhangadia, Co-founder and CEO Roposo. "Old high denomination ban will impact the private healthcare sector for next 3 to 6 months, and the impact would be higher for home healthcare service providers and door step service providers. If we look at consumers such as patients with chronic illness and old patients, they always keep cash with them for all sorts of medical needs and usually old patients living alone always ensure they have sufficient cash for emergencies. Looking at the new limits for withdrawal it will take time for these people who rarely go to a bank to recollect sufficient cash. On the other side, 70-80% door step services in healthcare such as diagnostics or home care are paid at the time of visit in cash. These services are going to get affected by a lot of cancellation in the absence of cash. Even once the bank gets opened everyone would like to use cash for daily needs until there is an emergency. I am afraid that medical services being part of urgency and critical category are not kept out from the ban. This also could result in the delay in treatment for many patients," said Deeapk Sahni, CEO & Founder, Healthians.com.
" As the country has gone cashless for the next two days with Prime Minister Narendra Modi's announcement to remove 500 and 1000 rupee notes, it will shift the offline bookings in travel domain to online bookings but leisure travel will be slow over few days because of cash not available in the market that people need for Food Transport etc. For example Goa doesn't have Ola Uber and travelling is a challenge in a sense of cash. Although, this is a revolutionary step to curb corruption," said Rohit Khetrapal, Co-Founder, FindMystay. "The recent announcement will have a big & immediate effect on all e-com businesses since more than 90% of all transactions in India are Cash on Delivery orders. Killing the two most imp tenders of Rs 500/- and Rs 1000/- will see a slowdown in the current growth rate of businesses, however it is a step towards building more robust business chain in the future, where prepaid payments will also result a reduction in consumer led cancellations & increase the delivery %, hence resulting into an optimum transactional cycle," said Jasmeet Thind, Co-Founder, CoutLoot. According to Rishabh Sood, CEO & Co-founder, YuMiGo, "Along with a temporary spike in queries from people who want to change their currency notes to foreign currency, we believe that this move by PM Modi is a shot in the arm for digital platforms dealing with Foreign Currency, as there is always a clear trail for each and every transaction. This is a much needed step to bring the huge parallel economy in India out of the shadows and into the mainstream." Pratyush Kukreja, COO & Co-founder, YuMiGo, said, "PM Modi's step towards demonetization of the economy is also a bold endorsement of electronic modes of payment, startups should see more transactions as more customers start to make even large ticket purchases like foreign currencies online. It nudges more people to trust the online channels."